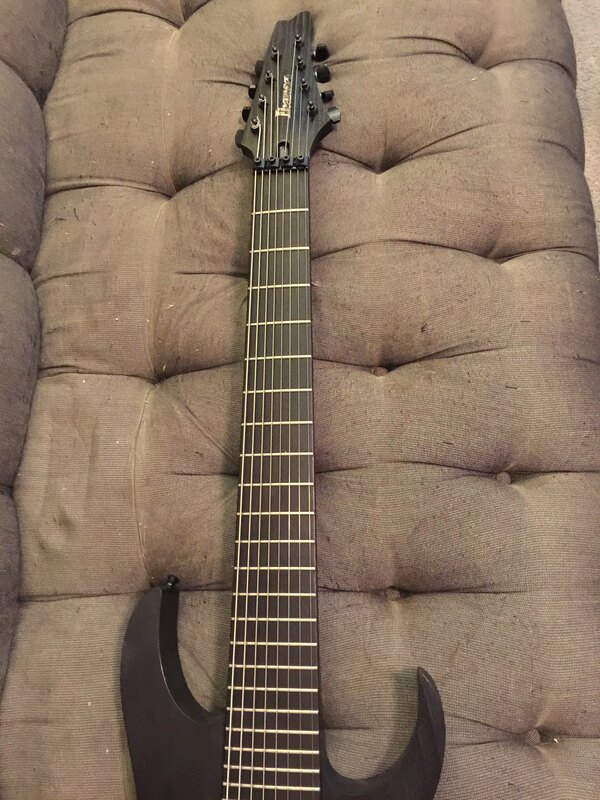 Does anyone have an Ibanez M8M? Discussion in 'Extended Range Guitars' started by Leviathus, Jul 31, 2017. Wanted to see if anyone (Lee perhaps?) 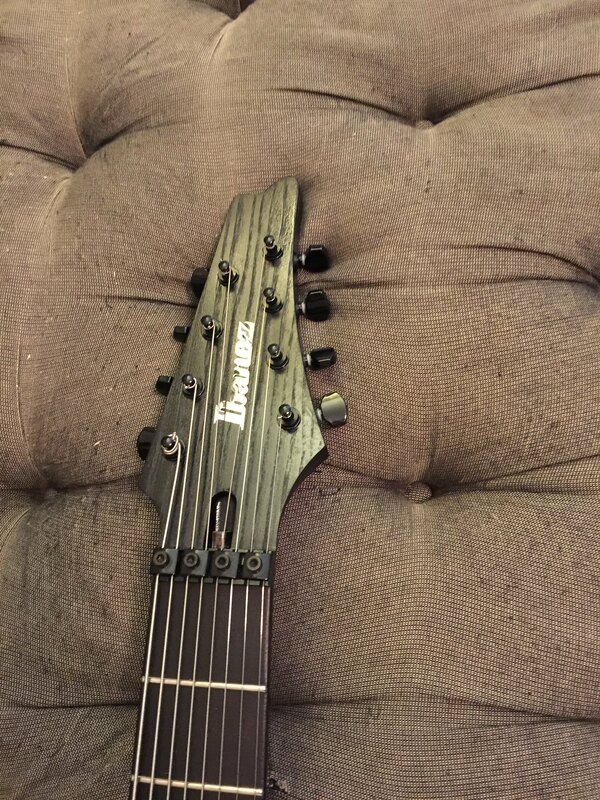 has one of the Sugi Meshuggah sigs and maybe would be so kind as to post pics/share your thoughts on it. I feel like i've never even heard of anyone having one of these out in the wild and would love to hear about it. I have one, here are some photos. Sir Ibanez, mnemonic, couverdure and 2 others like this. Sorry for the quality of the photos, just quickly took em with my phone. 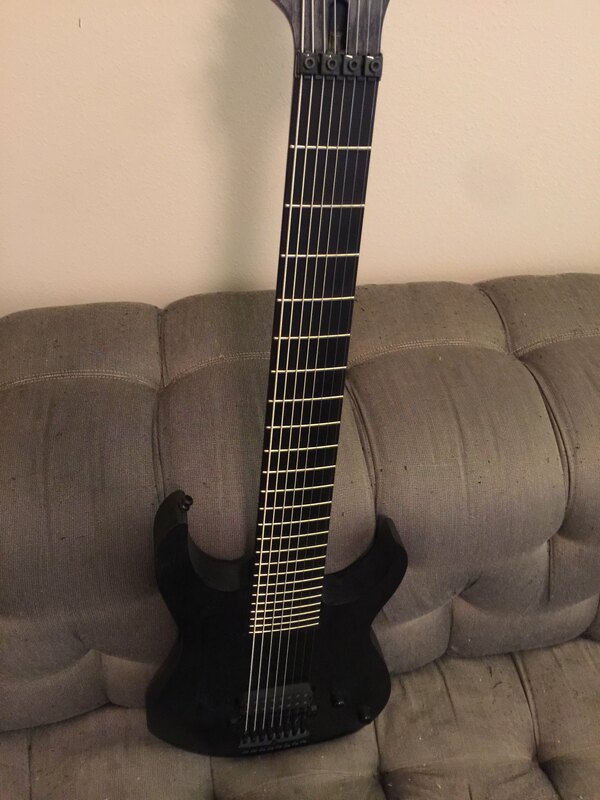 I really don't know where to start as far as the qualities, it's a fantastic guitar and is amazing to play. What things would you like to know? Nothing in particular i guess, appreciate ya takin' the time to snap some pics though! Looks awesome. The thing slays. Resonates beautifully. The scale length took a little getting used to but it clears up the lows tremendously. Lundgren pickups sound fantastic, and even with only one pickup you can really do some beautiful clean work. Just a minor thing but I appreciate a lot (small hands) the ability to use smaller gauge strings and be able to tune down to E no problem. 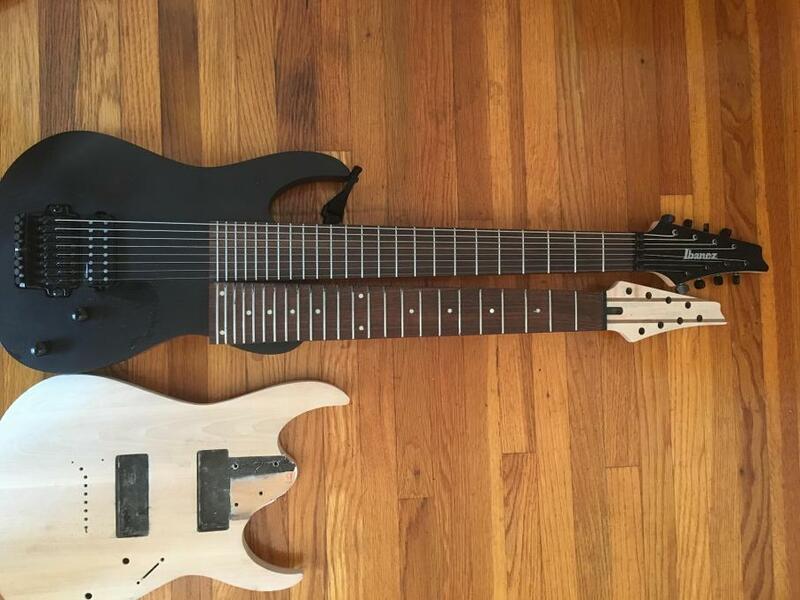 I haven't tried the M80M, but from what I have heard from other people is that it has a slightly brighter sound since its a bolt on neck. When you play a M8M, you know you're handling something very special and meticulously crafted. Type_R3387, Sir Ibanez, Gravy Train and 1 other person like this. 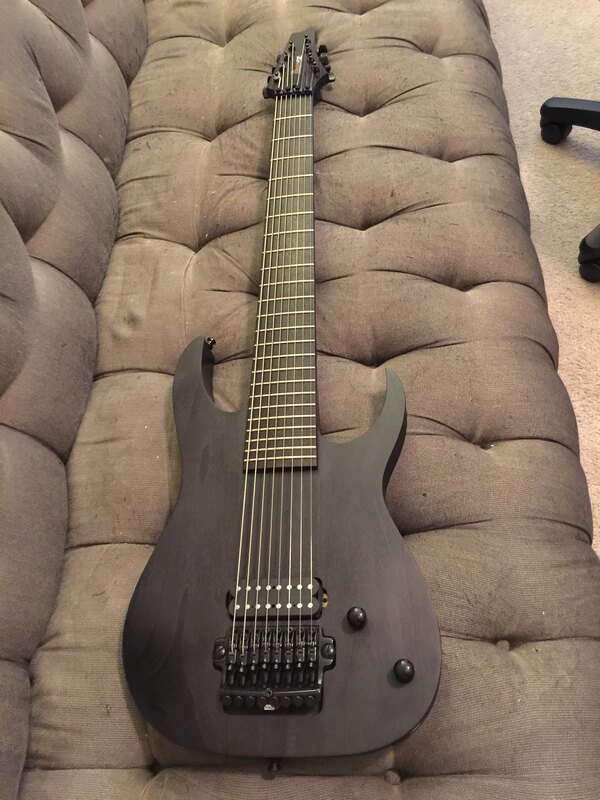 I have one 8 string as I'm primarily a seven string player, and I generally don't have GAS for 8's, but goddamn, what I would do for a left handed M8M. Cool, man! Congrats! 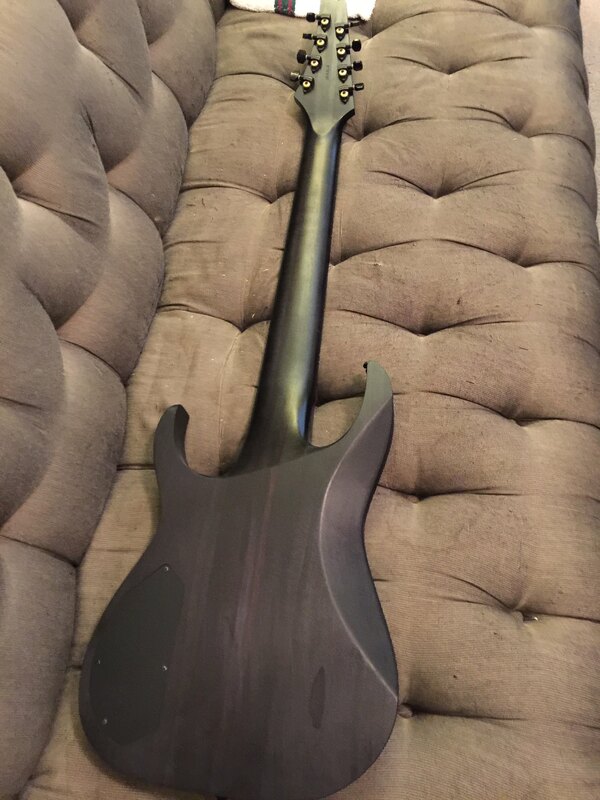 You have such a great guitar! 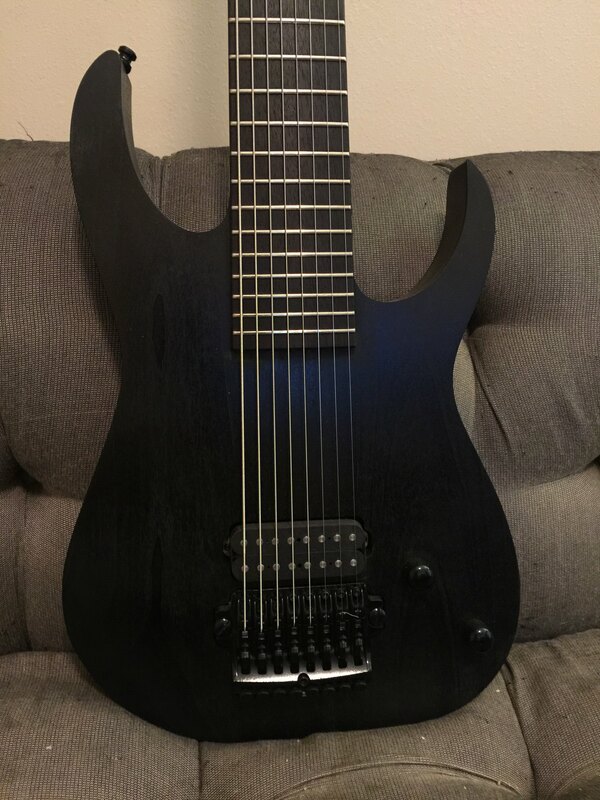 I had one for a while, really great guitars. The Lundgren pickup in particular is fantastic- rolling the tone completely off gets you a clean tone I've never been able to replicate on another guitar. I regret selling mine! Quick question for the M80M owners. 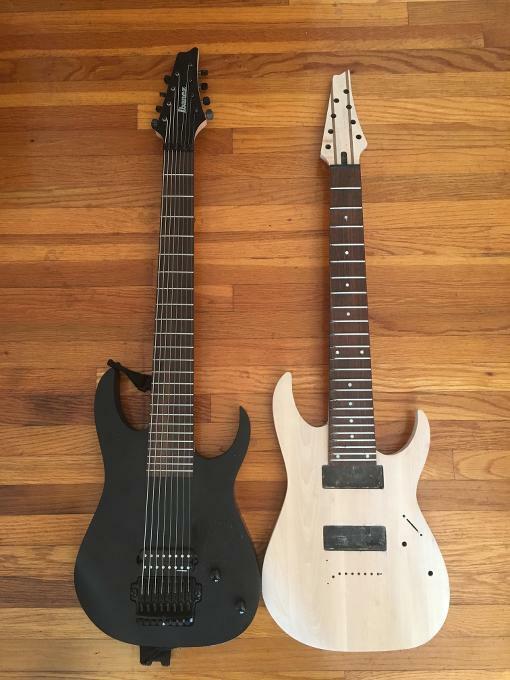 Is the neck longer itself than say the neck on the RG8 and S8 models, or is the additional scale length solely made up by moving the bridge closer to the edge of the body?